Every living creature has a unique shape and the number of chromosomes. 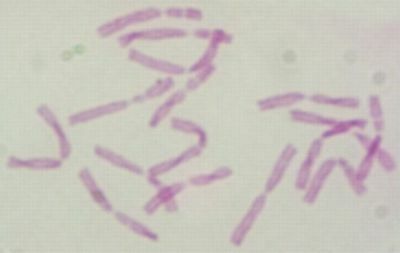 Although equal numbers of chromosomes in sperm of different species, chromosome morphology is different. Examination of chromosome morphology, taxonomic resolution of problems and determining based on evolution to the use of kinship as important. In order to practically all of these processes, BsChromo software developed by Babacan UĞUZ. 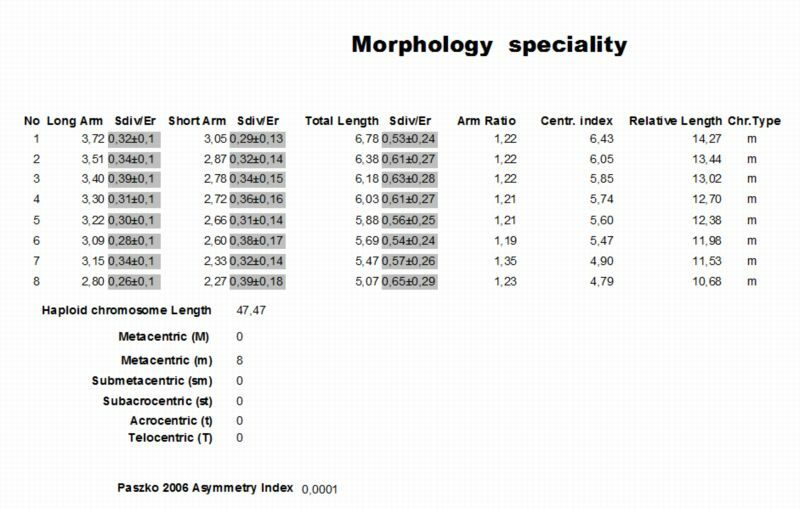 Using the program, short / long arm of chromosome length and total length measured. 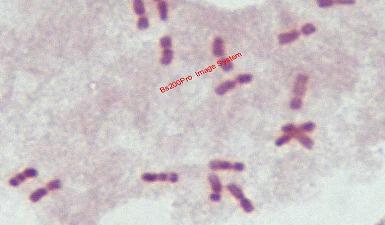 According to the results of this measurement, pairs of homologous chromosomes can be defined, can be idiyogramlar. Do you want to share you own clinical research? Want to share clinical research? we would like to thank to Hon. Dr. Mark Martin for their contributions. we wish to continue studies in Turkey and abroad. A1. Martin, E., H. Duman ve F. Ünal, Karyological studies of five taxa of Sideritis L. (Lamiaceae) section Hesiodia Benth. from Turkey, Caryologia, 61 (2):115-122 (2008), Doktora tezinden üretilmiştir. A2. Ünal, F., A. Duran ve E. Martin, Karyotype on the genus Hesperis L. (Cruciferae) of the Diaplictos (Dvorák) Dvorák section in Turkey, Hereditas, 145 (2): 64-68 (2008). A3. Martin, E., H. Akan, M. Ekici ve Z. Aytaç, Karyomorphological studies on section Bucerates Boiss. of Trigonella L. (Leguminosae) from Turkey, Caryologia, 61 (3): 225-236 (2008). A4. Öztürk, M., E. Martin, M. Dinç, A. Duran, A. Özdemir ve Ö. Çetin, A cytogenetical study on some plants taxa in Nizip Region (Aksaray, Turkey), Turkish Journal of Biology, 33 (1): 35-44 (2009). A5. 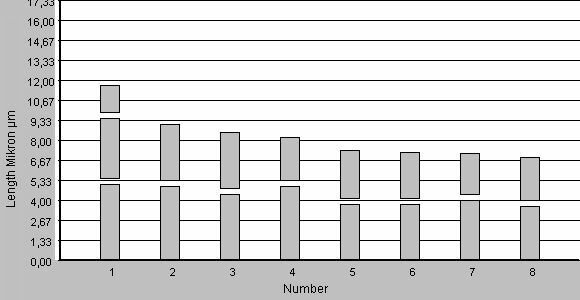 Doğan, B., A. Duran, E. Martin ve E. E. Hakkı, Chromosome numbers in Turkish species of Jurinea Cass. (Asteraceae), Caryologia, 62 (1): 16-23 (2009). A6. Martin, E., M. Dinç, A. Duran, B. Doğan, ve E. E. Hakkı, Cytogenetical analysis of 12 taxa of Genista L. (Fabaceae) from Turkey, Bangladesh Journal of Plant Taxonomy, 16 (2): 151-156 (2009). A7. Martin, E., M. Dinç ve A. Duran, Karyomorphological study of eight Centaurea L. taxa (Asteraceae) from Turkey, Turkish Journal of Botany, 33 (1): 97-104 (2009). A8. Martin, E., H. Duman ve F. Ünal, Karyological studies on section Empedoclia of Sideritis (Lamiaceae) from Turkey, Caryologia, Doktora tezinden üretilmiştir, 62 (3): 180-197 (2009). A9. Yılmaz, A., E. Martin, F. Ünal ve H. Akan, Karyological study on six Trigonella L. species (Leguminosae) in Turkey, Caryologia, 62 (2): 89-94 (2009). A10. Hamzaoğlu, E., A. Aksoy, E. Martin, N. M. Pınar ve H. Çölgeçen, A new record for the flora of Turkey: Scorzonera ketzkhovelii Grossh. (Asteraceae), Turkish Journal of Botany, 34 (1): 57-61 (2010). A11. Doğan, B., A. Duran, E. Martin ve E. E. Hakkı, Jurinea turcica (Asteraceae), a new species from NW Anatolia, Turkey, Biologia, 65 (1): 28-32. (2010). A12. Dirmenci T., E. Dündar, G. Deniz, T. Arabacı, E. Martin ve Z. Jamzad, Morphological, Karyological and Phylogenetic Evaluation of Cyclotrichium: A piece in the Tribe Mentheae Puzzle, Turkish Journal of Botany, 34 (3): 159-170 (2010). A1. Martin, E., M. Dinç, A. Duran ve M. Öztürk, Karyotype of Lotus strictus Fisher & C.A.Mey. (Leguminosae), Centaurea amanicola Hub.-Mor. (Compositae) and Teucrium lamiifolium dUrv. subsp. lamiifolium (Labiatae) on taxa, American-Eurasian Journal of Scientific Research, 1 (1): 12-17 (2006). A2. Dağeri A., E. Martin ve A. Şahin, Cytogenetics of some of the Turkish drogs, International Journal of Natural and Engineering Sciences, 1 (3): 49-53 (2007). A3. Martin, E., A. Duran ve T. Dirmenci, Karyotype of Matthiola trojana (Brassicaceae), a recently described endemic from Turkey, International Journal of Botany, 3 (2): 222-225 (2007). A4. Martin, E., A. Duran, M. Dinç ve M. Öztürk, Karyotype analysis of Silene behen L. (Caryophyllaceae) , Journal of Applied Biological Sciences, 2 (1): 13-15 (2008). A5. Duran, A., E. Martin ve F. Ünal, New chromosome counts Hesperis L. (Brassicaceae) from Turkey, International Journal of Natural and Engineering Sciences, 2 (1): 53-56 (2008). A6. Martin, E., Y. Bağcı, K. Ertuğrul ve H. Dural, A karyological study on three taxa of Silene L. (Caryophyllaceae) by Image Analyzing System, Phytologia, 90 (1): 3-13 (2008). A7. Martin, E., A. Duran, M. Dinç, M. Babaoğlu ve S. Erişen, Karyotype analyses of four Astragalus L. (Fabaceae) species from Turkey, Phytologia, 90 (2): 147-159 (2008). A8. Evliyaoğlu, N., M, Kargıoğlu, E. Martin, M. Temel ve Ö. Çetin, The karyotype of three Limonium Miller species in the family of Plumbaginaceae conducted using Image Analysis System, International Journal of Botany, 4 (2): 213-218 (2008). A9. Martin, E., A. Duran, M. Dinç ve M. Öztürk, Cytotaxonomical analysis of Silene salsuginea Hub.-Mor. and Silene doganii A.Duran & Y. Menemen local endemic to Turkey, Journal of Applied Biological Sciences, 2 (3): 67-70 (2008). A10. Martin, E., A. Savran ve Y. Bağcı, Karyomorphological studies of nine taxa of Barbarea (Cruciferae) from Turkey, Journal of Applied Biological Sciences, 3 (2): 124-130 (2009). A11. Duran A., E. Martin, M. Öztürk, Ö. Çetin, M. Dinç ve A. Özdemir, Morphological, karyological and ecological features of halophytic endemic Sphaerophysa kotschyana (Leguminosae) in Turkey, Biodicon, In press. B1. Martin, E., A. Duran, A. Ocak, M. Dinç ve M. Öztürk, A cytotaxonomical study on endemic Hesperis turkmendaghensis A.Duran & A.Ocak (Cruciferae / Sect. Hesperis) in Turkey, IVth Balkan Botanical Congress, Institute of Botany Bulgarian Academy of Sciences, 185, Sofia, Bulgaria, 2006. B2. Martin, E., Y. Bağcı, K. Ertuğrul ve H. Dural, A Karyological study on three taxa of Silene L. (Caryophyllaceae) by Image Analyzing System, International Symposium 7th Plant Life of South West Asia (7th Ploswa), Anadolu University, 114, Eskişehir, 2007. B3. Doğan, B., A. Duran, E. Martin ve E. E. Hakkı, Chromosome numbers in Turkish species of Jurinea Cass. (Asteraceae) , International Symposium 7th Plant Life of South West Asia (7th Ploswa), Anadolu University, 115, Eskişehir, 2007. B4. Martin, E., M. Dinç ve A. Duran, Karyomorphological studies on seven species of Centaurea L. (Asteraceae) from Turkey, International Symposium 7th Plant Life of South West Asia (7th Ploswa), Anadolu University, 116, Eskişehir, 2007. B5. Martin, E., A. Duran, M. Dinç, M. Babaoğlu ve S. Erişen, Karyotype analysis of four Astragalus L. species from Turkey, International Symposium 7th Plant Life of South West Asia (7th Ploswa), Anadolu University, 117, Eskişehir, 2007. B6. Evliyaoğlu, N., Ö. Çetin, E. Martin ve M. Kargıoğlu, Karyotype in three species Limonium Miller of the family Plumbaginaceae by Image Analysis System, International Symposium 7th Plant Life of South West Asia (7th Ploswa), Anadolu University, 118, Eskişehir, 2007. B7. Duran, A., M. Dinç, E. Martin ve A. Özdemir, Morphological, palinological and karyological aspects of endemic Sphaerophysa kotschyana Boiss., International Symposium 7th Plant Life of South West Asia (7th Ploswa), Anadolu University, 43, Eskişehir, 2007. B8. Martin, E., A. Duran ve T, Dirmenci, Karyotype of Matthiola trojana T.Dirmenci, F.Satıl and G.Tümen (Brassicaceae), endemic to Turkey, 6th European Cytogenetics Conference (E.C.A. 2007), European Cytogenetics Association, 271, İstanbul, 2007. B9. Duran, A., E. Martin ve F. Ünal, 2007. 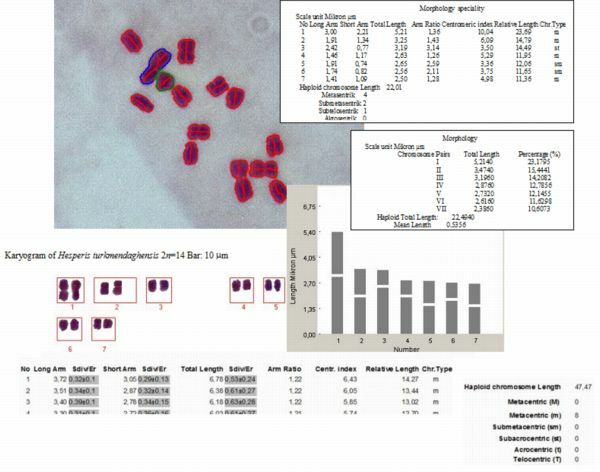 New chromosome counts Hesperis L. (Brassicaceae) from Turkey, 6th European Cytogenetics Conference (E.C.A. 2007), European Cytogenetics Association, 271, İstanbul, 2007. B10. Martin, E., A. Duran, M. Ünal ve A. Özdemir, A karyological study on Matthiola odoratissima (Pall.)R.Br. of the family Cruciferae in Turkey, International Conference on Environment: Survival and Sustainability, Near East Univesity, 91, Nicosia-Northern Cyprus, 2007. B11. Ay, H., A. Duran, E. Martin ve B. Doğan. 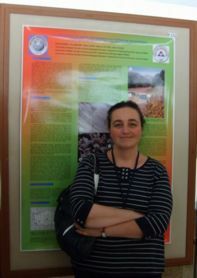 Karyological study on Bilacunaria and Cachrys (Apiaceae) from Turkey Vth Balkan Botanical Congress. 27, Belgrade, Serbia. 2009. B12. Doğan B., A. Duran, E. Martin, Ö. Çetin, M. Öztürk, T. Arabacı. New chromosome numbers in genus Serratula L. (Asteraceae) from Turkey 13th Optima, Antalya, Turkey. 2010. B13. Martin, E., Ö. Çetin, A. Duran, S. Tuştaş. 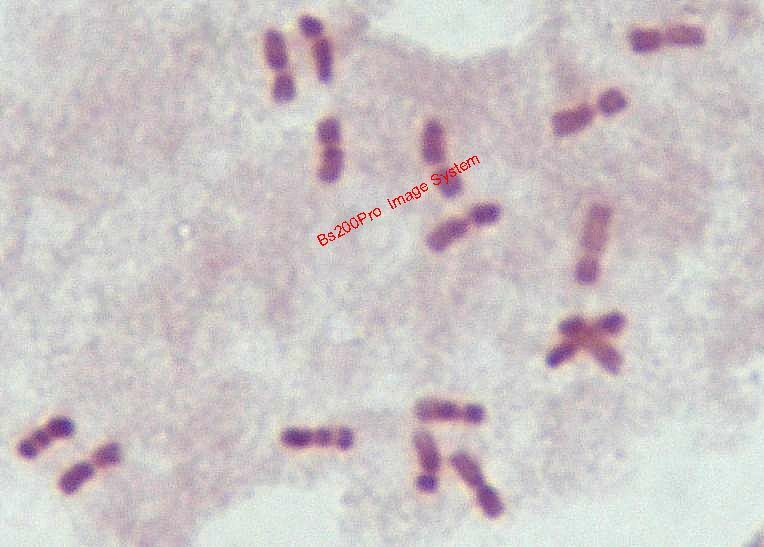 Karyotype analyses of four Fibigia Medik. (Brassicaceae) taxa from Turkey 13th Optima, Antalya, Turkey. 2010. D1. Martin, E. ve M. Aydoğdu, Niğde-Ulukışla arasında kalan bölgenin florası, Ot Sistematik Dergisi, 12 (1): 73-92 (2005), Yüksek Lisans tezinden üretilmiştir. E1. Martin, E., H. Duman ve F. Ünal, Türkiye'deki Hesiodia seksiyonunda yer alan Sideritis L. (Labiatae) türleri üzerinde karyolojik bir araştırma, 16. Ulusal Biyoloji Kongresi, 150, Malatya, 2002. E2. Martin, E., H. Duman ve F. Ünal, Türkiye Sideritis L. türleri üzerinde karyolojik bir çalışma, 17. 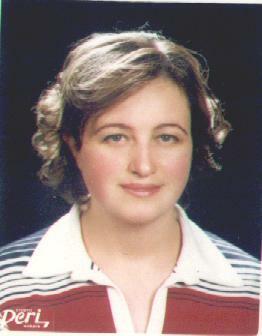 Ulusal Biyoloji Kongresi, 21, Adana, 2004. E3. Martin, E., M. Dinç, A. Duran ve M. Öztürk, Lotus strictus Fisher & C.A.Mey. (Leguminosae), Centaurea amanicola Hub.-Mor. (Compositae) ve Teucrium lamiifolium dUrv. subsp. lamiifolium (Labiatae) taksonlarının karyotip analizi, 18. Ulusal Biyoloji Kongresi, 255, Kuşadası, Aydın, 2006. E4. Ünal, F., A. Duran ve E. Martin, Türkiye Hesperis L. (Cruciferae) cinsinin Diaplictos (Dvorák) Dvorák seksiyonunda yer alan taksonlarının karyotip analizi, 18. Ulusal Biyoloji Kongresi, 255, Kuşadası, Aydın, 2006. E5. Martin, E., A. Duran, M. Dinç ve M. Öztürk, Türkiyede yetişen bazı Silene L. (Caryophyllaceae) türleri üzerinde sitotaksonomik araştırmalar, 18. Ulusal Biyoloji Kongresi, 106, Kuşadası, Aydın, 2006. E6. Martin, E., H. Akan, M. Ekici, Z. Aytaç, Türkiyede yetişen Trigonella L. (Fabaceae) cinsine ait taksonların karyotip analizi, 18. Ulusal Biyoloji Kongresi, 25, Kuşadası, Aydın, 2006. E7. Dağeri A., E. Martin ve A. Şahin, Türkiyede drog olarak kullanılan bazı bitkilerin sitogenetiği, 13. Ulusal Öğrenci Biyoloji Kongresi, Konya, 2007. E8. Öztürk, M., E. Martin, A. Duran, M. Dinç, A. Özdemir ve Ö. Çetin, Aksaray İli Nizip bölgesinde doğal olarak yetişen bazı bitkiler üzerine sitogenetik bir çalışma, 19. Ulusal Biyoloji Kongresi, 409, Trabzon, 2008. E9. Martin, E., A. Duran ve B. Uğuz, Bilgisayar destekli görüntü analiz sisteminin sitogenetik çalışmalara uygulanabilirliği ve güvenilirliği, 19. Ulusal Biyoloji Kongresi, 164, Trabzon, 2008. E10. Duran, A., E. Martin, M. Dinç, B. Doğan ve Y. Bağcı, Centaurea tomentella Hand.-Mazz. ve Centaurea albonitens Turrill (Asteraceae) taksonları üzerine sitogenetik bir çalışma, 19. Ulusal Biyoloji Kongresi, 365, Trabzon, 2008. E11. Martin, E., B. Doğan, M. Öztürk, A. Duran ve E. Hasırsı, Scorzonera kotschyi Boiss. ve Scorzonera tomentosa L. (Asteraceae) taksonları üzerine karyolojik bir çalışma, 19. Ulusal Biyoloji Kongresi, 424, Trabzon, 2008. E12. Martin, E., B. Doğan, A. Duran, A. Özdemir ve M. Öztürk, Serratula haussknechtii Boiss. ve Serratula cerinthifolia (Sm.) Boiss. (Asteraceae) türlerinin karyotip analizleri, 19. Ulusal Biyoloji Kongresi, 330, Trabzon, 2008. E13. Martin, E., M. Dinç, A. Duran, E. E. Hakkı ve B. Doğan, Türkiye Genista L. (Fabaceae) cinsi taksonlarının karyolojik yönden incelenmesi, 19. Ulusal Biyoloji Kongresi, 162, Trabzon, 2008. E14. Martin, E., A. Duran, A. Özdemir ve Ö. Çetin, Astragalus stereocalyx Bornm. (Fabaceae) türünün karyolojik yönden incelenmesi, 19. Ulusal Biyoloji Kongresi, 421, Trabzon, 2008. E15. Martin, E., E. Akçiçek, A. Duran, Ö. Çetin ve A. Özdemir, Türkiye için endemik olan Matthiola montana Boiss. (Brassicaceae) türünün kromozom sayı ve morfolojisi üzerine bir çalışma, 19. Ulusal Biyoloji Kongresi, 348, Trabzon, 2008. E16. Martin, E., A. Duran, B. Doğan, M. Dinç, M. Öztürk, Ö. Çetin ve B. Bilgili, Papaveraceae, Brassicaceae, Caryophyllaceae ve Liliaceae familyalarına ait altı takson üzerinde karyolojik bir araştırma, 19. Ulusal Biyoloji Kongresi, 329, Trabzon, 2008. E17. Martin, E., B. Güler, S. Karabulut ve A. Özdemir, Türkiyede yetişen Cheiranthus cheiri L. (Brassicaceae) türünün karyotip analizi, 14. Ulusal Öğrenci Biyoloji Kongresi, 89, Gaziantep, 2008. E18. Tıraş, Z., E. Martin, Ö. Çetin, A. Duran, Lactuca intricata Boiss. (Asteraceae) türünün karyolojik yönden incelenmesi 16. Ulusal Biyoteknoloji Kongresi, Antalya, 2009. E19. Martin, E., D. Boduroğlu, S. Makbul, Ö. Çetin, A. Duran, Türkiye Scorzonera L. (Asteraceae) cinsinde yer alan bazı taksonların sitogenetik analizi 20. Ulusal Biyoloji Kongresi, Denizli, 2010. E20. Polat, M., A. Duran, M. Öztürk, E. Martin, Ö. Çetin, Türkiyede doğal olarak yetişen üç Centaurea L. (Asteraceae) türleri üzerine karyolojik çalışma 20. Ulusal Biyoloji Kongresi, Denizli, 2010. E21. Aktaş, E., Ö. Çetin, E. Martin, A. Duran, Sterigmostemun incanum Bieb. (Brassicaceae) türünün karyotip analizi 17. Ulusal Öğrenci Biyoloji Kongresi, Ankara, 2010. F1. Martin, E., A. Duran, B. Doğan, M. Dinç, M. Öztürk, Ö. Çetin ve B. Bilgili, Papaveraceae, Brassicaceae, Caryophyllaceae ve Liliaceae familyalarına ait altı takson üzerinde karyolojik bir araştırma, Biyoloji Bilimleri Araştırma Dergisi, 1 (3): 75-78 (2009). F2. Martin, E., B. Güler, S. Karabulut ve A. Özdemir, Türkiyede yetişen Cheiranthus cheiri L. (Brassicaceae) türünün Karyotip Analizi, Biyoloji Bilimleri Araştırma Dergisi, 2 (2): 6-9 (2009).